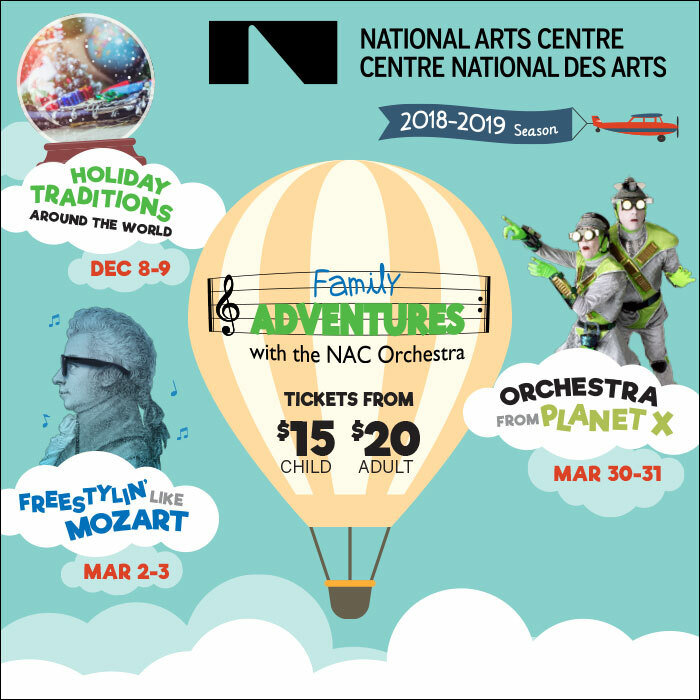 If you’re looking to introduce your son or daughter to the joy of classical music, be sure to check out the National Arts Centre’s Family Adventures with the NAC Orchestra series. Geared to kids aged 5+ this fun and interactive series introduces children to the wonders of the orchestra. 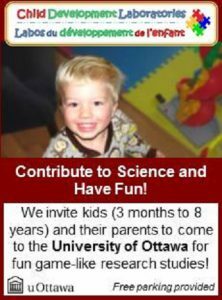 Each bilingual performance lasts one hour and features the NAC Orchestra and special guests! Be sure to arrive 45 minutes early to participate in hands on pre-concert activities! 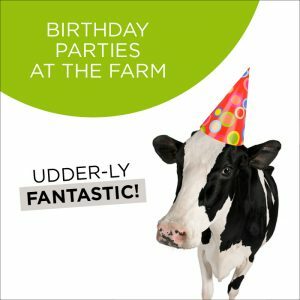 From Russia to Australia, with stops in China, India, France, the Ukraine, England, and, to be sure, Canada, get into the holiday spirit on a trip fueled by traditional music from around the world. Did you know that musical geniuses like Bach, Mozart, and Beethoven freestyled on the keyboard in improv competitions against other composers, fueled by suggestions from the audience? Join us for an exciting and interactive concert experience that puts together comedy theatre Second City and the NAC Orchestra to demo musical improv and hear some of the classical masterpieces that came out of it! An unwitting conductor only wants to trace the influences of the New World on European orchestral tradition when two aliens descend on Southam Hall with ideas of their own! With ideas and inventions for influencing “Earth Music” these mischievous extraterrestrials turn what should have been a straight forward orchestra program into a sci-fi musical thriller.